The search for renewable, green resources has led to a resurgence of interest in wood. Whether for use as building material for the increasingly popular wood-based tall buildings or as an energy source for wood pellets, the wood market continues to expand. While wood is renewable, the method used by loggers to harvest lumber can have a dramatic impact on the health of the forest and its ability to regenerate. Although "clear cutting" is still the most common logging method, "selective logging" has gained popularity in recent years as it lacks some of the negative aspects associated with other logging methods. The practice of selective logging is as it sounds: some trees are chosen to be cut while the rest are allowed to stand. This process is also sometimes called "selective thinning". However, the selective logging process is more than just harvesting the profitable trees from the forest. A smart, selective thinning plan ensures the success of the forest for years to come through assessing the forest properly to determine its needs. Selective logging requires a highly skilled forester to create a thinning plan, taking into account factors such as tree health, tree spacing, and tree species; all while considering how many mature trees to leave behind and what is most economically valuable to harvest. Although selective thinning doesn’t present the large-scale initial profit of other methods such as clear cutting, it can create a more productive and better yielding forest that provides a harvest every season. For many shade-tolerant hardwood species, such as Westen Hemlock and Redwood, selective thinning helps create a higher yielding forest by allowing foresters to ensure ideal spacing between trees and a thinner canopy so that sunlight can reach the forest floor, allowing for easier regeneration. (It should be noted that clear cutting can lead to faster and easier regrowth in most pine species and hardwoods such as Yellow Poplar, Cherry, and Maple, as those breeds require vast amounts of sunlight to grow.) Furthermore, by selectively removing diseased and damaged trees, foresters are able to to lessen competition for sun and water, giving healthy trees a better opportunity to reach maturity. 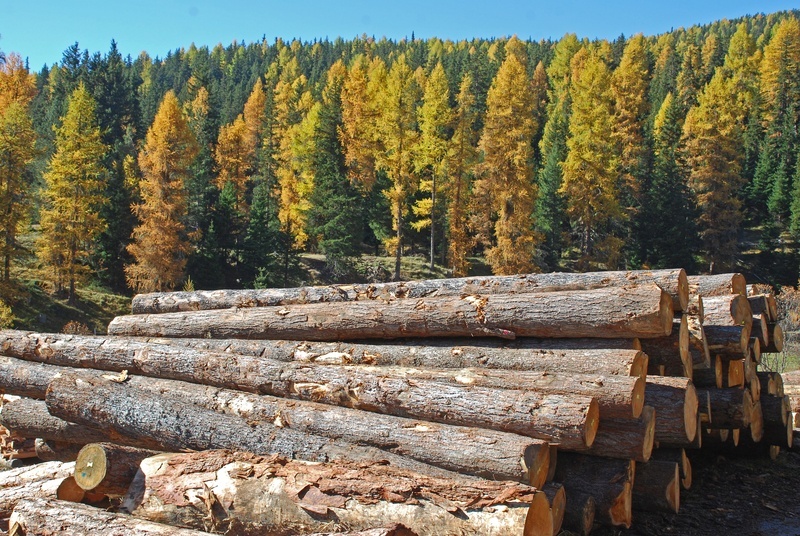 Wood’s renewability and minimal environmental impact is the main reason for regained interest in the resource and is one of the primary reasons foresters should consider selective logging, as this method has a relatively light environmental impact. First and foremost, selective thinning is less disruptive to wildlife. While selective logging is invasive, it does leave wildlife habitats intact, helping maintain the diversity of the forest. Also, leaving trees standing keeps the forest looking natural while contributing to reduced runoff of delicate topsoil and the minimizing of silting of nearby streams and rivers. Keeping the fertile topsoil in place is particularly crucial to speedy forest rejuvenation. Not without its flaws, selective logging is less economical and harder for loggers than methods such as clear cutting. As in most situations, there is a time and a place for everything and, in some situations, clear cutting makes more environmental and economical sense. Click here to find our blog about the advantages and impact of clear cutting. Alliance Tire Group is working to solve the issues facing the people in the field, and our line of Primex forestry tires is ideal for loggers practicing selective thinning. Great for use on everything from forwarders to skidders to harvesters, the Primex LogMonster is known for its high performance and low total cost of ownership (TCO). The LogMonster is perfect for working in the challenging conditions selective logging often presents, as it delivers superior traction, low slippage, and is built for durability. While the Primex LogMonster isn’t going to be able to make selective logging as economical as other methods, it can help your crews stay in the field, reduce downtime, and increase the productivity and efficiency of your machines. Contact your Alliance Tire Group dealer today to learn how the LogMonster and other great forestry tires from Primex can help your operation.